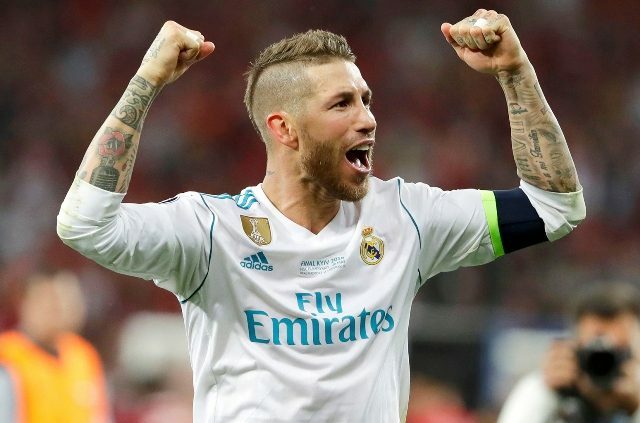 Real Madrid defender Sergio Ramos released Friday an anthem for Spain’s 2018 World Cup campaign which he co-wrote with Spanish flamenco fusion singer Demarco Flamenco. The 32-year-old Spain captain uploaded on his Instagram page a short video teaser of the song, which he is seen performing with Flamenco, a former gas canister distributor. “I always keep my promises. This is what my friend Demarco Flamenco and I have been working on. Warming up for the World Cup,” Ramos wrote alongside the video which has been seen nearly four million times. The mid-tempo ballad called “Otra estrella en tu corazon”, or “Another star in your heart” was made available on iTunes and other online platforms on Friday. Demarco, whose real name is Marco Jesus Borrego, told Spanish public broadcaster RTVE he wrote the lyrics with Ramos. “He worked on it from his end, I did it from mine,” he said. The 38-year-old, who like Ramos is from the southwestern region of Andalusia, released his first album last year. Ramos also sang lead vocals for Spain’s Euro 2016 song “La Roja Baila”, or “La Roja dances”.